The annual calendar is awash with art prizes, varying in scale from country hall blue ribbons to substantial cash grants. Comparatively few make it to must-take-note-of-it status. The annual Churchie National Emerging Art Prize is one of those few. Running for more than 30 years with a $15,000 non-acquisitive prize, the prestigious Brisbane-based award is dedicated to supporting the work of early career artists. A roster of high-profile judges (previous years have included IMA directors Aileen Burns and Johan Lundh, MCA’s chief curator Rachel Kent and Sydney gallerist Roslyn Oxley) ensures the Churchie consistently selects outstanding work, offering collectors an annual glimpse into the future of the nation’s contemporary art scene. Past winners have included Megan Cope, Sam Cranstoun, Ross Manning, Karen Black and Daniel McKewan, to name a few. An exhibition of finalist works will be presented at Brisbane’s QUT Art Museum from 8 September to 28 October 2018. Image: Anna Horne, ‘Float’, 2017. 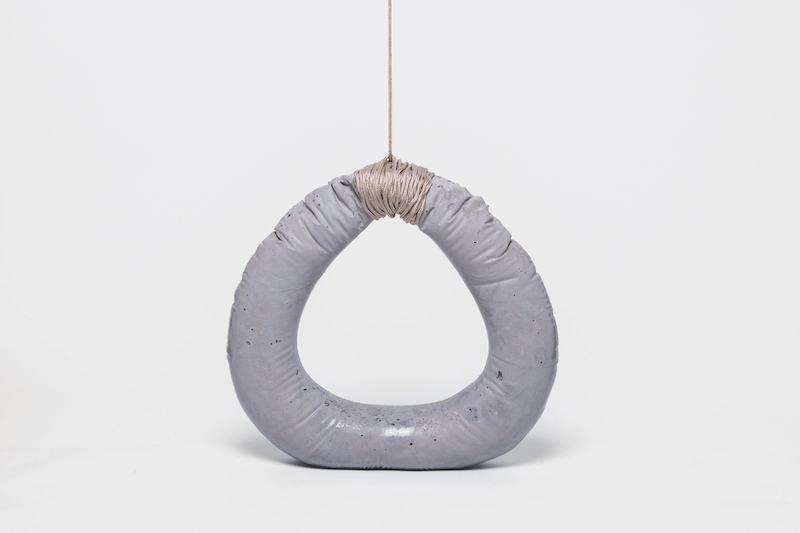 Concrete, rope, 40 x 40 x 12cm. Courtesy: the artist.